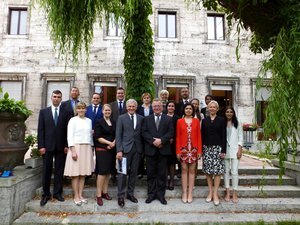 Every year the Diplomatenkolleg (DK) invites young diplomats from Europe, the Southern Caucasus and Central Asia to experience Germany from a variety of perspectives. Informative visits, discussions with experts and cultural events introduce participants to relevant aspects of life in Germany. They gain new insights and competent colleagues for their work, thereby expanding cooperation, development and career opportunities. 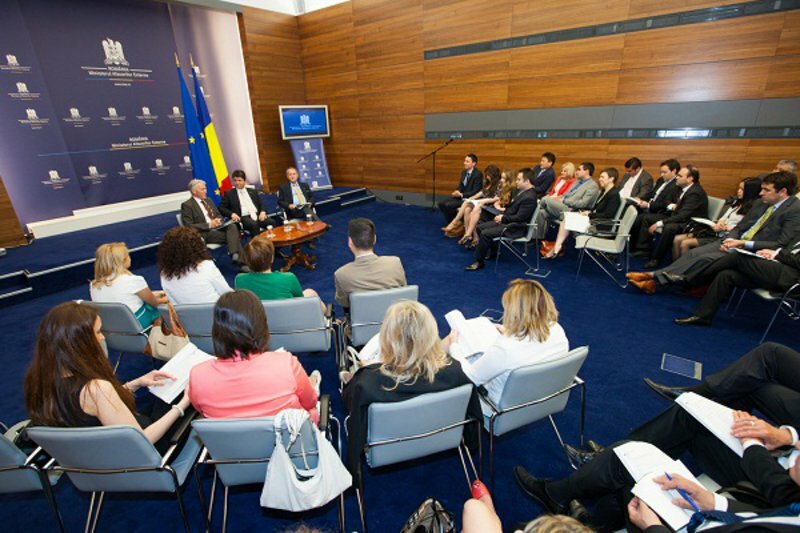 Whether considering global issues, Europe, domestic politics, the media, economic policy, cultural dialogue or civil society, the programme is determined by current affairs. 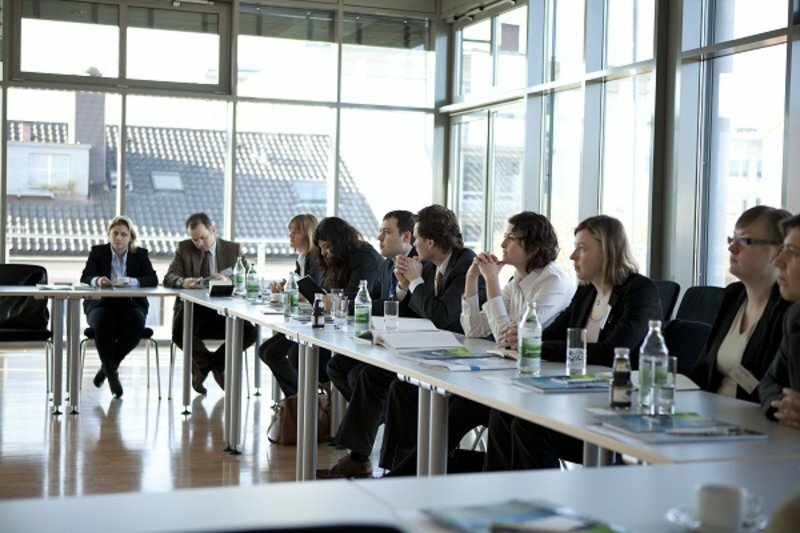 The Diplomatenkolleg invites you on a tour d’horizon through Germany, introducing prominent personalities, institutions and issues across the country that grant insights far beyond those which can be experienced in the normal working routine. 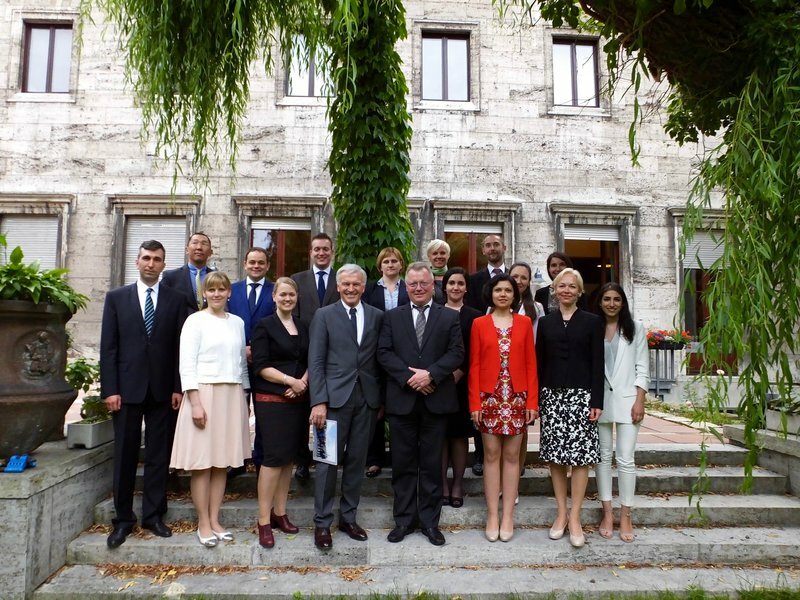 The Diplomatenkolleg is a Berlin Programme and is geared towards working diplomats. 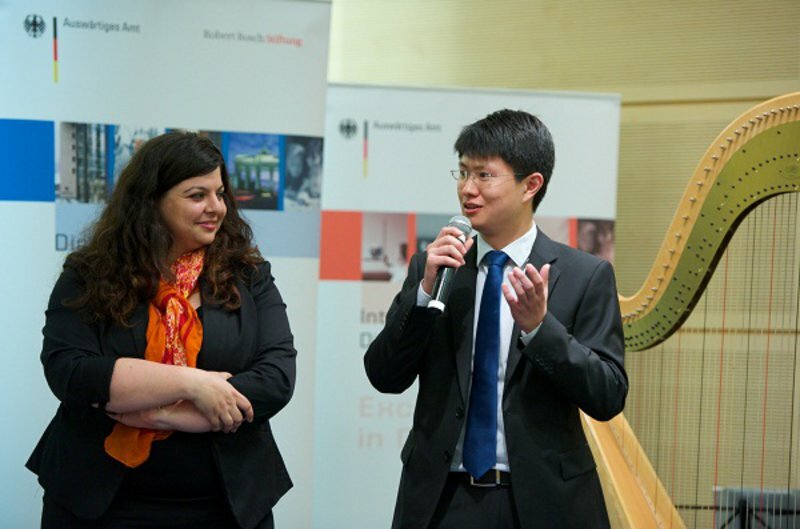 Participants are fully employed at their country’s embassy in Berlin. The insights they glean during this discovery tour of Germany are therefore all the more relevant for their day to day activities. The course is held in German. Information trips, expert discussions and cultural events provided insights which go beyond what a diplomat would normally experience on a day to day basis. The young diplomats are able to acquire new ideas and competent partners for their work and at the same time broaden their cooperation opportunities, scope for action and career chances. The upcoming 13th Diplomatenkolleg is going to take place from August until November 2018.